unconditional release by Boko Haram. 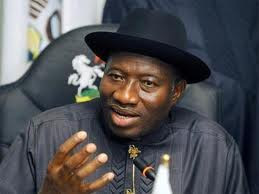 Jonathan is said to have ruled out negotiations over a possible release of prisoners. Nothing was seen of the girls for almost a month after they were taken from Chibok. But on Monday the group released a video showing more than 100 of them and offering an exchange for prisoners. UK Africa Minister Mark Simmonds said Jonathan had “made it very clear that there will be no negotiation” at a meeting on Wednesday. President Jonathan has been criticised for not visiting the town – more than a month after the girls were seized. The president will travel to Paris to take part in a summit convened by French President Francois Hollande to discuss Boko Haram. The leaders of Nigeria’s neighbours – Benin, Cameroon, Niger and Chad – are scheduled to attend the summit on Saturday, which will also include representatives from the UK, US and EU. A statement said delegates at the meeting will “discuss fresh strategies for dealing with the security threat posed by Boko Haram and other terrorist groups in west and Central Africa”.